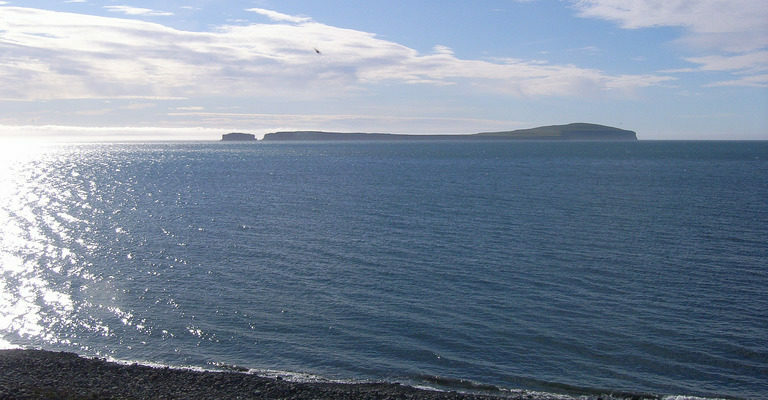 Málmey, an island with steep cliffs off Sléttuhlíð, 2.4 km2, max. height 156 m. Grassy and good pasture for sheep. The farm there was abandoned in 1951. According to legend there is a spell on Málmey so that neither mice nor horses will thrive there and no married couple should live on the island for longer than twenty years or the wife will disappear and never be seen again. Folk tales tell of just such occurrences.